School break is right around the corner, so let’s check out some cool things for kids to do this summer at Virginia State Parks. This is part 2 where we’ll explore fun stuff to do for the Tweens, ages 8-12. If dipping your toes in the James River is not enough at Chippokes Plantation State Park, there is also an Olympic size swimming pool and a kiddie pool that are open from the Saturday of Memorial Day weekend through Labor Day, 10 a.m. to 6 p.m. daily. Click here for park fees. From Memorial Day to mid-June and from mid-August to Labor Day, swimming may be available only on weekends and Labor Day. If your stay depends on using the pool, please contact the park before making a reservation at 757-294-3728. Go for a ride at New River Trail State Park. Guided trail rides and horse/pony rides in enclosure are available April through October (closed Tuesdays and Wednesdays). Call Foster Falls Horse Livery, 276-699-2460, for rates and reservations. The first ride of the day is by reservation, heading out at 9:30 a.m. and the rest are first come first served basis. 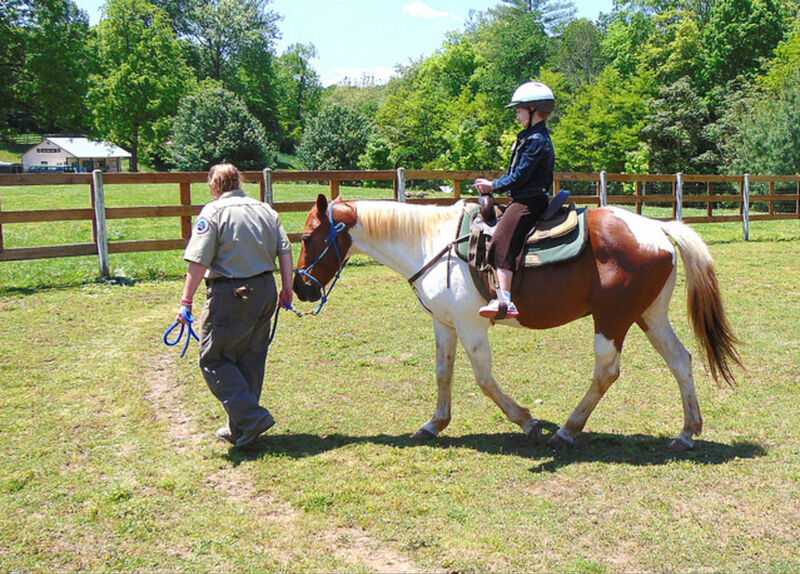 To go on a trail ride you need to be 11 or older, and under 11 there is the opportunity to be led on a ride in the enclosure. Also, you can call the Foster Falls Boat and Bike Livery at 276-699-1034 to rent river tubes. Piddle Paddle around Woodstock Pond at York River State Park. 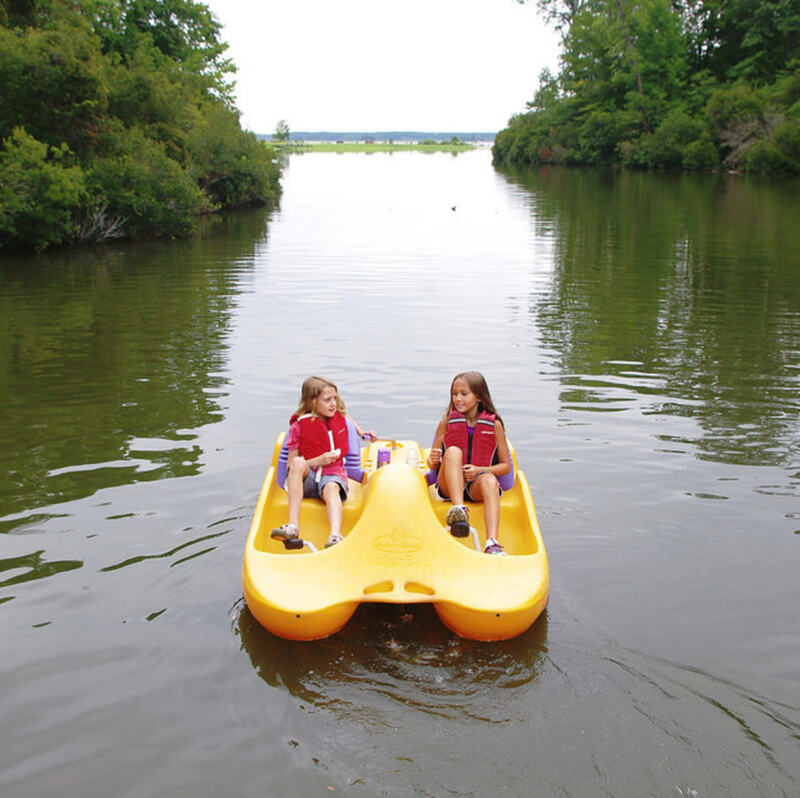 Paddleboats, jon boats, canoes and kayaks can be rented for use on the pond. Rental equipment is available for use on the creek and the pond from April 1 through the end of October. Weather, water and air temperature, and other conditions beyond our control may impact rentals. Call ahead 757-566-3036 to make sure they are available. Also, guided canoe and kayak trips begin at the visitor center. Park guests learn about salt-marsh ecology on the Taskinas Creek canoe trip or about the natural and cultural history of the York River on the kayak trip. Bows and arrows have long been a part of human culture and a part of how we relate to the natural world. 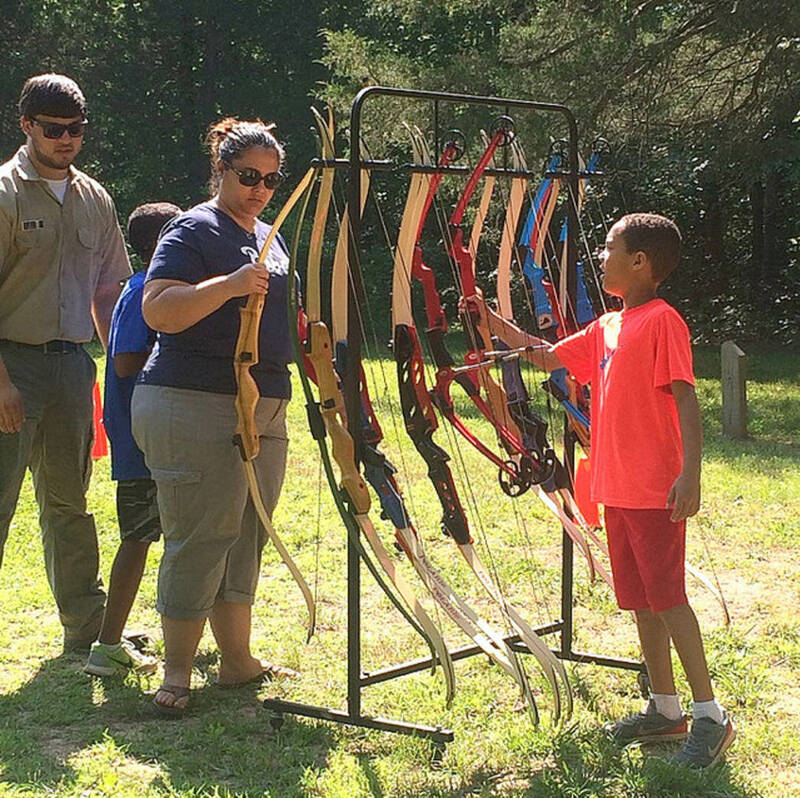 At this basic archery program at Bear Creek Lake State Park, learn about recurve and compound bows and how to use them. Take your best shots, and get tips on how to shoot better. The equipment is not suitable for children under eight years of age. $5.00 per person, family rates available. Limited spaces available as this is a specific park program. Advance registration required through the Park Office, call to find out the next available date. Water and restrooms are not available at the range. 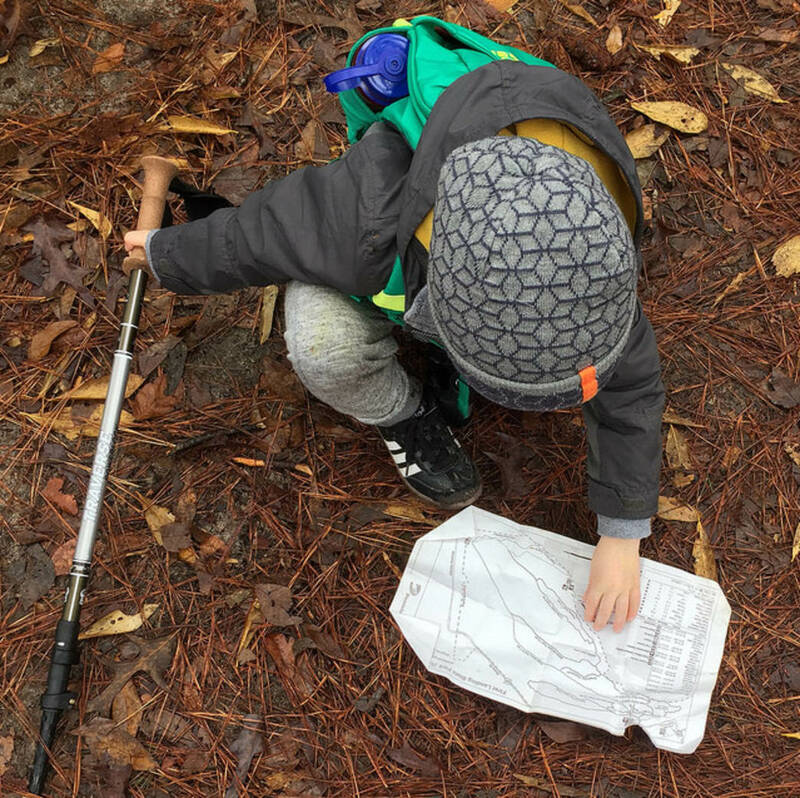 Try Geocaching, it’s a world-wide phenomenon that uses hand-held GPS (Global Positioning Satellite) units along with satellite technology, to find deliberately hidden objects similar to a treasure hunt. Try locating our specially-placed park caches. You can also go here to get coordinates and learn more about our caches and current program. If you don’t have a GPS app on your phone, or your own GPS device, the park has several units available for rent by the day, or half-day. Simply stop in at a park Visitor Center during scheduled open hours and we’ll get you started with this adventure-filled, family-friendly activity available to the public all year long. 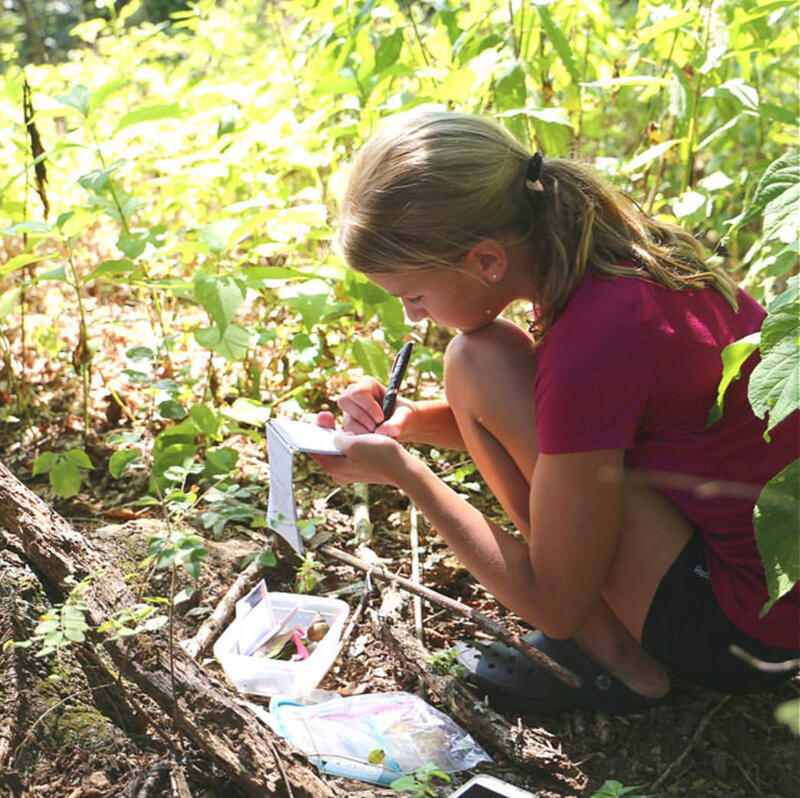 To find a beginner Geocaching 101 park program, or similar click here. 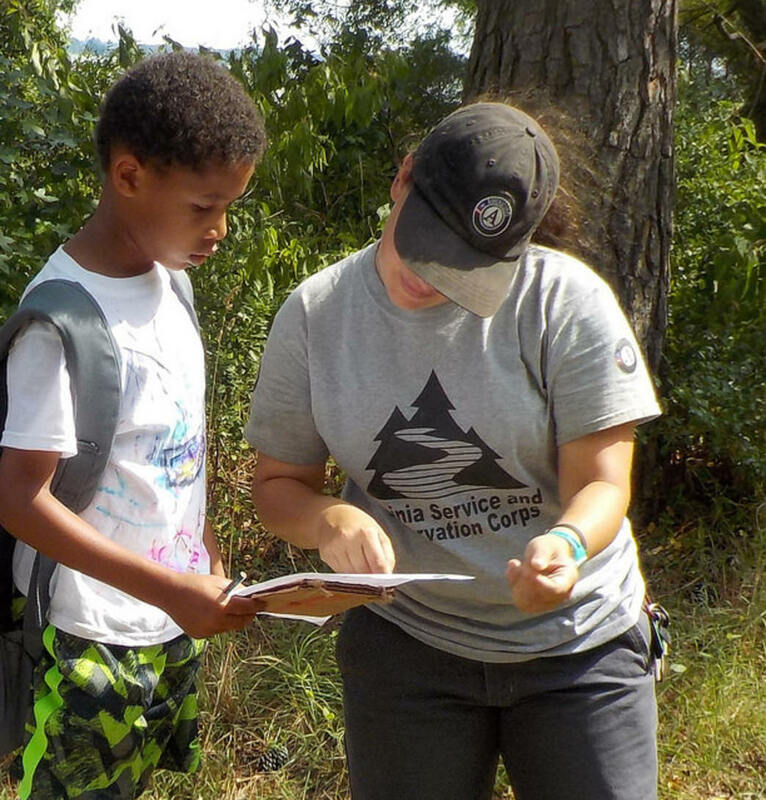 Kids, find out what it takes to be a ranger at Sky Meadows State Park. We have three Junior Ranger Activity Books: Junior Historian, Junior Naturalist and Junior Farmer. Complete all three activity books and become an official Sky Meadows Junior Ranger! Stop by to get your books and start your journey. Join us at Leesylvania State Park for a 2 mile hike where we will be listening and identifying the musicians of the night. We will be challenging ourselves to explore the natural history of our park by using only our night vision. Click here to find the next night hike. 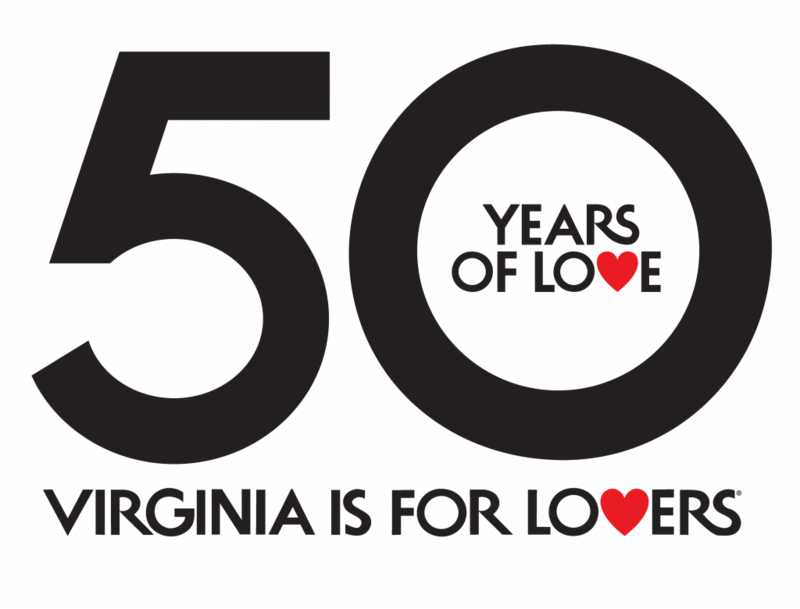 Please register 24 hours in advance by calling the Visitor Center at 703-583-6904. 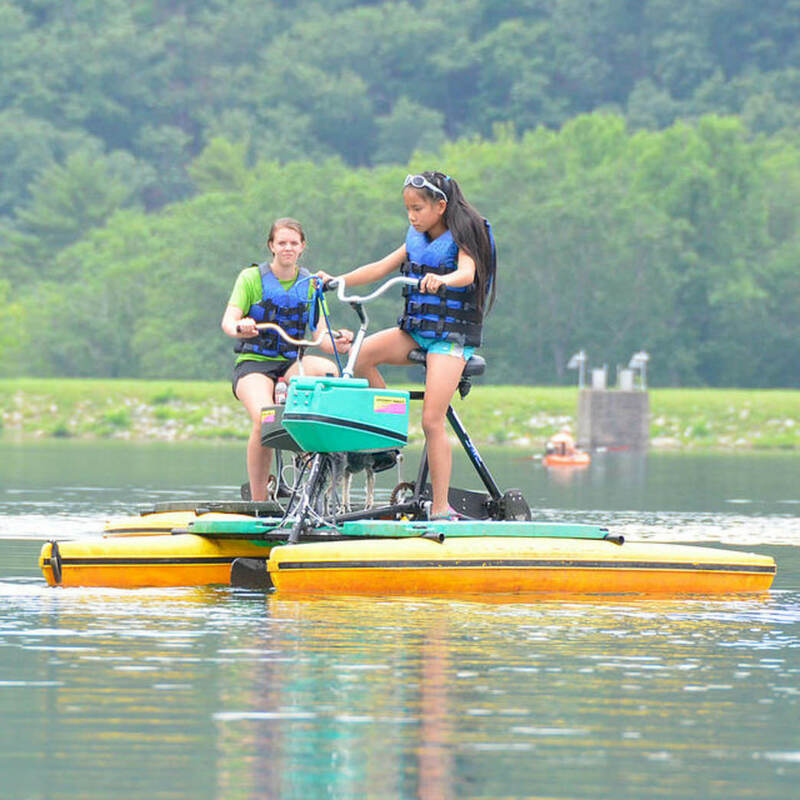 Rent a Hydrobike at Douthat State Park and explore the lake. Funyaks and Jon boats, with and without electric motors, can be rented from the first Saturday in April through the end of October. Also, canoes, paddleboats, hydrobikes and paddleboards may be rented from the Friday before Memorial Day through Labor Day. If no one is at the boathouse, guests should go to the camp store for help. The boathouse is located adjacent to the swimming beach. 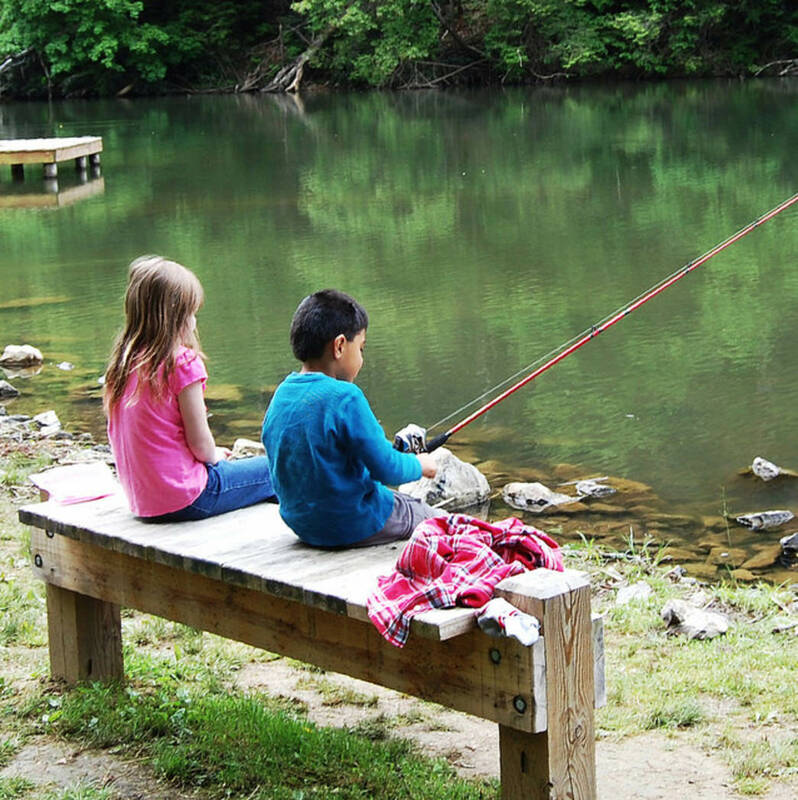 Many parks offer fishing programs like Hungry Mother State Park. Also, there is no fishing license required if you are under 16, so it’s a great chance to learn something new. The 108-acre Hungry Mother Lake within the park supports a host of sport fish including largemouth, smallmouth, hybrid striped and spotted bass as well as crappie, channel and flathead catfish, carp, sunfish, rock bass, muskellunge and walleye. There are fishing programs at many of our parks, click here to find one. You can earn five unique and attractive pins for visiting various Virginia State Park. Get one for your first park visit and others after visiting 5, 10, 20 and all parks. The whole family can participate so each family member can sign up for Trail Quest and start earning pins now. (Children without an email account may use a parent’s.) 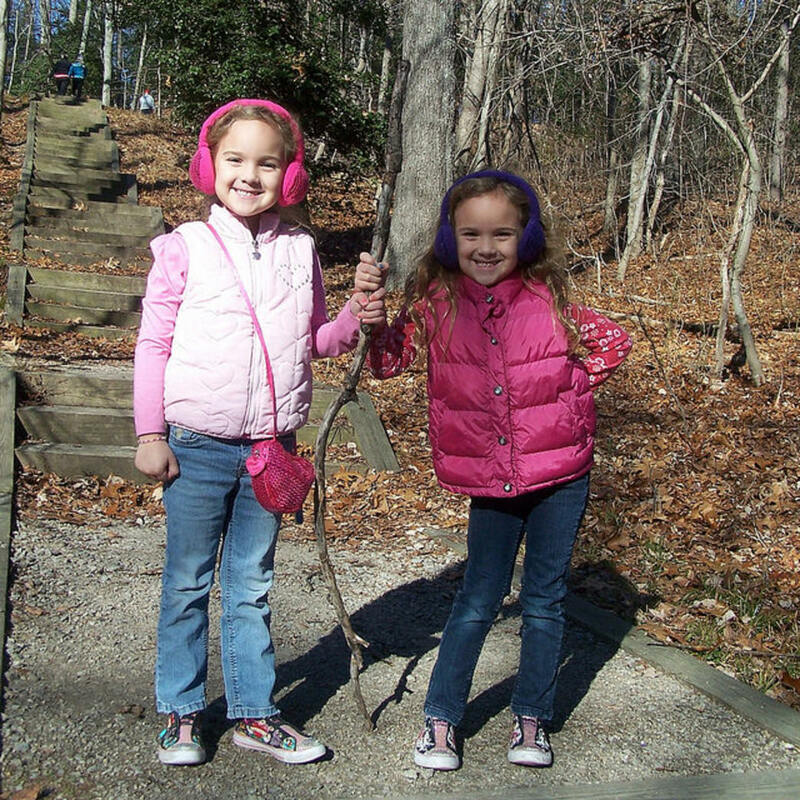 Visit a Virginia State Park and, after the visit, log into the State Park Adventures page, select the name of the park you visited, pick “Trail Quest” and record the date of the visit. If you’ve also joined the Geocaching Game, record having found the park’s cache at the same time. The app keeps track of your progress, and you will receive email confirmation, too. Visit our events database here to find more fun events for your ‘Tweens at Virginia State Parks. You can search by date, park or event type. If you’re interested in a specific program listed above, please go to the park’s webpage or give them a call for the details. Reservations may be required for a program, so they’ll know how many to anticipate. Be sure to follow us on Facebook here, check out Part 1: Little Angels here, and soon we’ll publish Part 3: Teens. To find a place to escape the heat, click here to search swimming at Virginia State Parks. To learn more about fishing, click here. Learn more about overnight lodging in our campgrounds, yurts and camping cabins here. If you would like to spend a few nights in a cabin or group lodge, click here. Call 800-933-7275 to reserve your family getaway today. The post 10 Cool Things for Kids to Do This Summer: Tweens appeared first on Virginia’s Travel Blog.